About the Author: S. Lakshmi Narashiman studies at SRM University. He shares how he fought with his inner fears and grabbed an internship that helped him understand the intricacies of astronomy and enhance his writing skills. My search for training and internships started during my third semester. While surfing the internet, I came across Internshala, a portal that bridges the gap between students and internships. 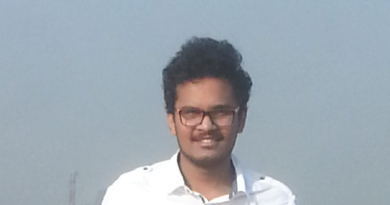 I applied for a technical writing internship at Evelyn Learning Systems in Delhi. I flew down to Delhi and met with my friends; I was supposed to enjoy with them but the fear of not getting through the interview prevailed. The next day, I left for the organization an hour before the scheduled time since I didn’t want to be late. The selection was a two tier process – a written test and a personal interview. The office had a quiet, warm, and soothing ambiance filled with the sounds of my fright. At 9 O’clock, I was given a test paper which included multiple choice questions, short answer questions, and an article on – A cup of coffee. After the test was over, I was called for the interview. The interview began with a pinch of nervousness which soon turned into a streak of confidence. The interviewer asked me to introduce myself, which I had anticipated and prepared for, followed by why I considered myself suitable for the position. After a good five minutes, my technical interview began. I was asked to explain Quantum entanglement, relative nature of time, Hawking radiation, and Doppler’s effect of light. Being familiar with the answers, I elucidated the terms in detail. I was hired as an intern and asked to complete some joining formalities. My job was to write articles on the concepts of astronomy and astrophysics, the fields which have always intrigued me. My first week of internship had gone haywire since I had to answer some questions based on Classical Physics and mail them to the reviewer; this was particularly uninteresting. Disappointed, I thought of discontinuing the internship; however, I gave it another shot. In the second week, I met with my coordinator, Nirbhay Singh, who told me that answering questions was only to analyze my strengths and shortcomings as a writer. He helped me learn the three Es of writing – Effortlessness, Elegance, and Eloquence. He constantly reviewed my articles and provided feedbacks for improvement. He kept me going with his quote, ‘The best part about writing is that you don’t have to get it right the first time unlike say a brain surgery.’ The third week brought appreciation and excitement. I was experimenting with my writing style by including examples from sci-fi movies. The last week was surprising; I wrote around thirteen concepts daily including geographical topics, which made me learn the map of America. At the end of the internship, I observed a bedazzling difference in my writing skills. I worked on various genres of science such as astronomy, chaos theory, etc. The experience helped me grab an internship as an analyst at Research and Development department in Indian Oil Corporation Limited. Never let go of an opportunity just because you are scared. The best things in life are on the other side of your fright. Are you inspired by Lakshmi’s journey? Check out these latest content writing internships.